At the beginning of a new year, you look ahead and start to plan what you want to happen and the course you want your life to take. Maybe you’re working toward a big promotion or you want to meet someone special. No matter the big dreams you’re planning, do you feel confident enough to go chase after them? Does your smile show that confidence? If you hesitated or answered no, then maybe you should think about getting porcelain veneers in Spring Lake. Durability. Porcelain veneers are actually stronger than your natural teeth and can withstand normal wear and tear. That being said, you should still avoid chewing hard foods, such as popcorn kernels or ice to protect your teeth and the veneers. Natural appearance. The ceramic material reflects light much like natural teeth, and the dentist will make sure the veneer matches the color of the surrounding teeth, so it all looks seamless. Resistance to stains. Porcelain does not stain as easily as enamel does, so your veneers—and therefore your smile—will stay bright and beautiful. Once you and your dentist have discussed and decided that porcelain veneers are right for you, the dentist will remove about one millimeter of enamel to make room for your new veneer. Then they will take an impression of your teeth and send the information to a dental laboratory where your custom veneers are crafted. In the meantime, your dentist will place temporary veneers. When the final products are done, you’ll return to the dentist’s office so that the dentist can permanently adhere your porcelain veneers in place. In as little as two appointments, you could have the smile you’ve always dreamed of. 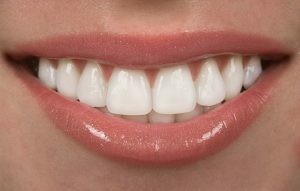 For such a small change, getting porcelain veneers makes such a huge difference in your teeth’s appearance. By taking advantage of porcelain veneers, you can feel more confident and enjoy peace of mind in your smile. Make 2019 the year that you pursued what you wanted in your work, in your relationships, and in life. For more information about porcelain veneers, contact your dentist in Spring Lake. Opening Dooley Dental in 1986, Dr. Edward Dooley has served the Spring Lake area for over 30 years. He has received certification in several dental techniques, including soft tissue laser, DURAthin laminate veneers, Lumineers, Straightwire Comprehensive orthodontics and Powerprox 6 month adult orthodontics. You can contact him by calling (732) 974-2288 or clicking here.